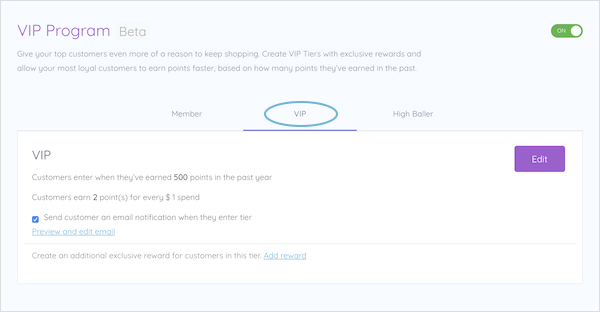 Give your top customers even more of a reason to keep shopping by adding exclusive rewards to your VIP program. 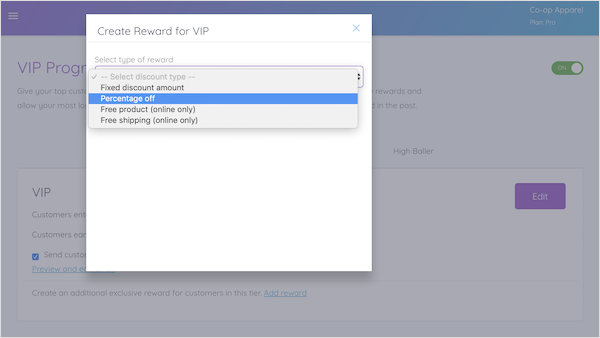 ✨Tip: Ensure the VIP rewards you add are a great offer to the customer to really incentivise them working towards that loyalty tier. Give them an unforgettable shopping experience to increase their loyalty - and encourage them to share with their friends and family too!